All in all I’ve been pretty busy! I’ll hopefully go into some of the more important things in more detail in other posts, but I have new levels to make, and thats way more fun than sitting here typing, so I’m off! Ciao! This entry was posted on Saturday, May 29th, 2010 at 8:53 am	and is filed under design, news. You can follow any responses to this entry through the RSS 2.0 feed. You can leave a response, or trackback from your own site. I’m loving this, it’s really coming along! Robot character? Is that… Quote? lol it looks that way I know! but its just what happens when you give someone with a cap some robot antennae! Found a bug: In the fifth level of today’s build, I can stand on the red exit field, by falling towards it. This is great. 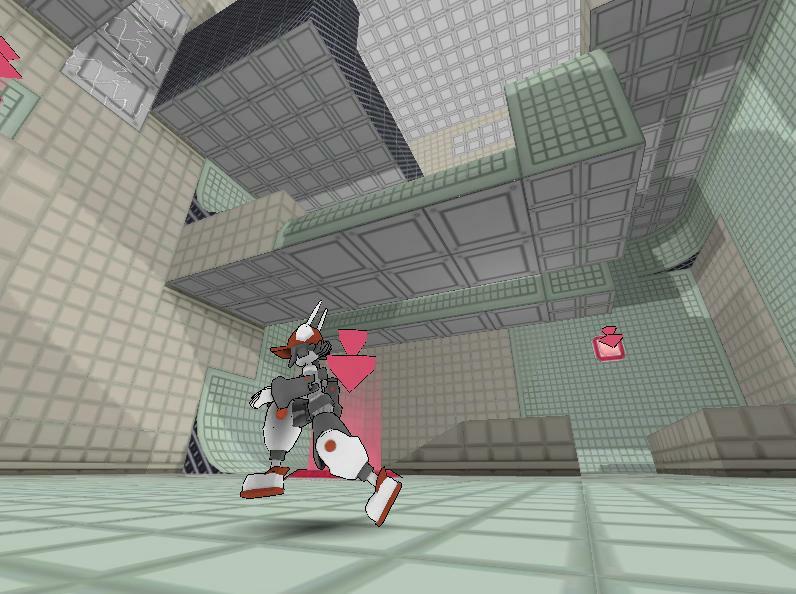 It is fun just to play a 3D platformer– a genre too long neglected. The puzzles are awesome. I especially liked the 5th level. It was time to go to bed but I just had to hit that last switch.